Thomas Cook, one of the world's largest travel companies, has bought luxury holiday firm Elegant Resorts for an undisclosed sum. Chester-based travel company Elegant Resorts offers tailor-made trips to the Caribbean and African safaris. 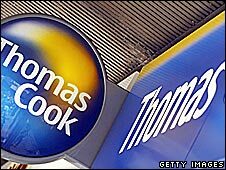 Earlier this year, Thomas Cook bought hotel bookings website Hotels4u.com in a £22m deal. It already offers more expensive holidays through its Latitude and Thomas Cook Signature brands. Thomas Cook's chief executive Manny Fontenla-Novoa said the deal allowed the company to "further enhance its position in this lucrative and growing segment of the leisure travel market." Elegant was co-founded by Geoff Moss and Barbara Catchpole in 1988. Last year it organised trips for 20,000 holidaymakers.